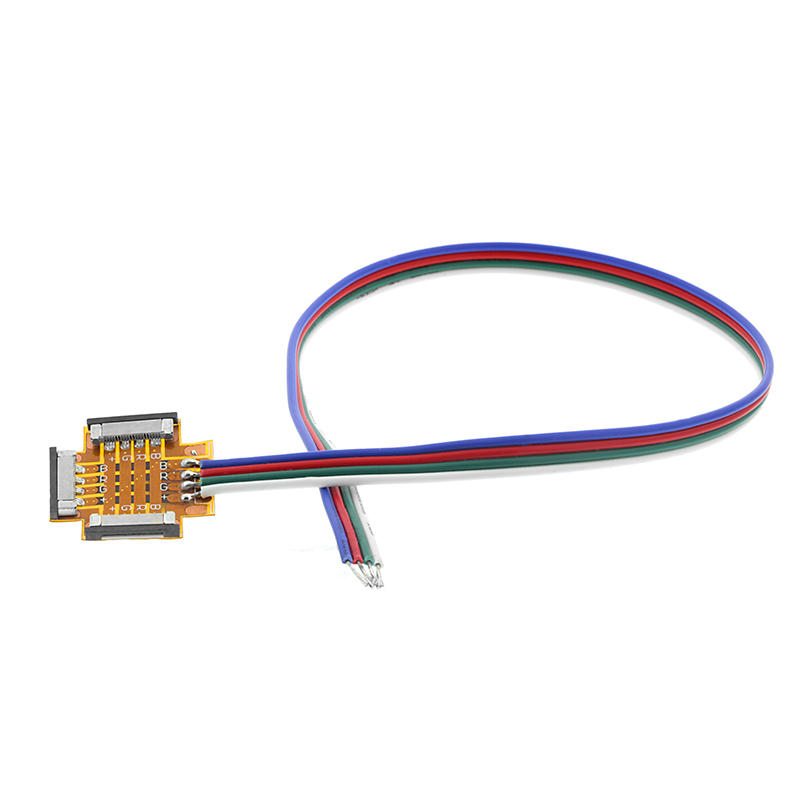 NFLS-4CPT3 RGB series solder-less 4 channel connector. 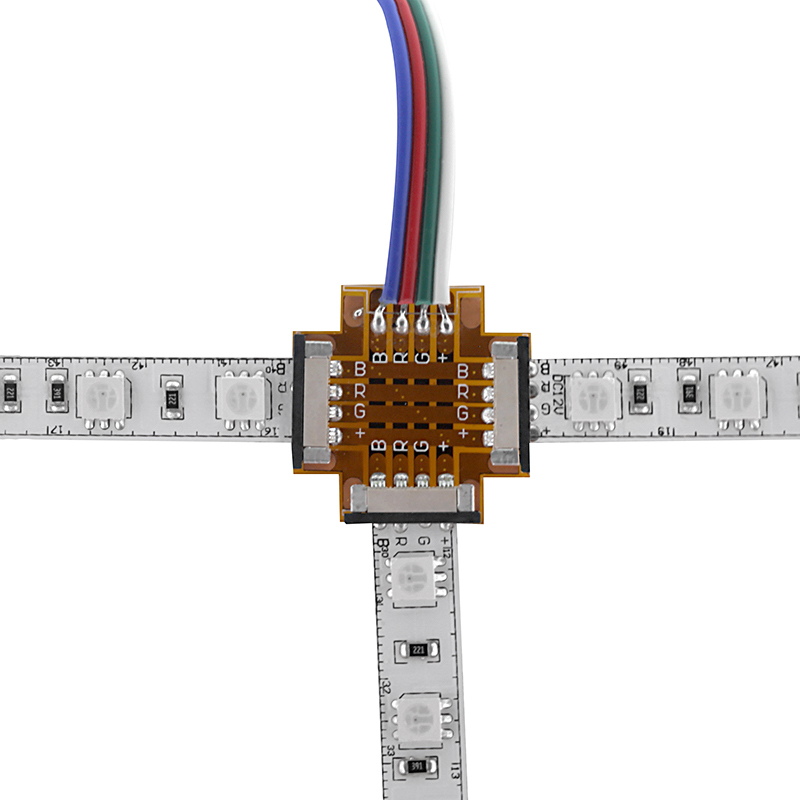 3-Way T design, 10mm wide, connects NFLS-RGB flexible light strips and strip segments to power source. 35.5cm(14in) length. This non-waterproof connector requires additional steps to waterproof.